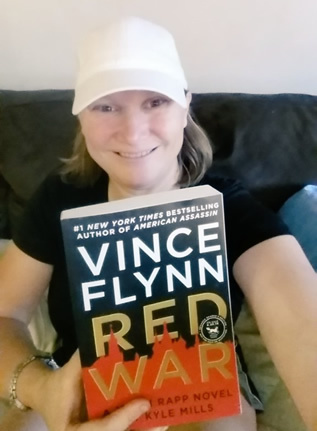 VinceFlynn.com profiles fans of the Mitch Rapp saga, ranging from one of the 50 Greatest NBA players and award-winning actors to Veterans and grandmothers. Read their stories below and submit your own. DHS Federal Officer and former Director of Operations for DOD contractor. While living in Minnesota when his books made the bookstore shelves. Met Vince at a couple of book signings. I told him to keep writing and he said keep reading. Told him if he needed a name for a character...mine was available. Mitch Rapp ...he takes care of business. Anyone ...as long as my character is a friend of Mitch. It was an honor to meet Vince Flynn. I have purchased all the books and shared them with our troops overseas. My neighbors enjoyed his books also. I've actually never read a Mitch Rapp book - rather I've listened to all of them (unabridged) via Audiobook. Part of the reason is the reader, George Guidall, who adds so much to the overall experience. Second is because it gives me something to do while trail running, travelling to my next adventure. I first discovered the series in 2009 at the recommendation of a co-worker. American Assassin is by far my favorite. They're all great in their own way, but I think American Assassin is by far the best written. I've read that Vince put a lot of time into this book. Probably Scott Coleman - but of course I secretly want to be Mitch Rapp. 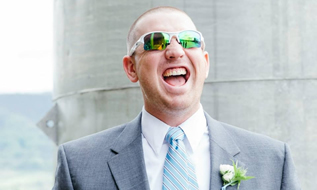 If Mitch is "the tip of the spear" - Scott is definitely the shaft of that spear. Hate to sound cliche, but definitely Mitch. He's my alter-ego. 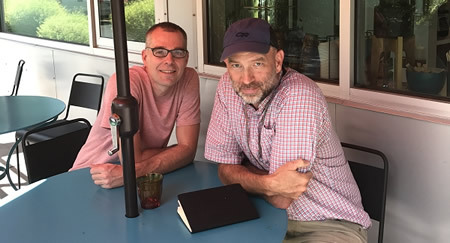 I got to meet Kyle Mills at a coffee shop in Jackson Hole last year. We talked for an hour and he's not only a great guy but also very interested in the opinions of his readers. I’m a finance major, retired from being a hospital executive. Married with 3 sons and one daughter. 10 grandkids! A USAF SERE Instructor during the Vietnam conflict. Every book I read is my best and now it’s Red War because I can actually envision its plot in the world now! Irene Kennedy. I can see myself in her role because I like politics and especially the role that behind the scenes/Black Op’s play in our world. Keep writing and I’ll keep reading. Thanks for Mitch Rapp! Born in Buffalo, NY and then spent a majority for my life growing up in Southern Florida. My career as an actor then brought me to Los Angeles for the past seven years where you might see me popping up some of your favorite TV shows. When did you start reading Mitch Rapp? I discovered Mitch Rapp when I read about American Assassin being turned into a film. I read the synopsis on a film website and went right to my local Barnes and Noble and bought it. Read the whole book in a couple days and I was hooked. I love the prequel books, American Assassin and Kill Shot, best. I'm hopeful that Kyle Mills will pick up where Vince left off and finish the prequel trilogy. Of the current timeline books, my favorite so far is Consent to Kill. The humanizing of Rapp is what it so fantastic to me. There are of course the obvious of Rapp, Hurley and Kennedy. For me, a character that was minor, but I would love to see a whole book on because I think there is a great story there is Secret Service Agent Matt Nash and Special Agent Rivera. The events leading up to their appearance in Acts of Treason is a story I'd love to read. Well of course, Rapp. To have his skills, fearlessness and moral compass...he's a person that can always be the man you can count on. Great qualities that a man can aspire to. I was Vince Flynn, Kyle Mills and Mitch Rapp that lit a fire in me for reading that I had long since forgot I had. In the time since I discovered American Assassin, I went on to read all the Rapp novels, moved on to Reacher and then Harvath...finishing all of Child's and Thor's bibliographies too. Since then I have challenged myself this to read 52 books (one a week) this year. My love for Rapp and these other great fictional characters has ignited my imagination to create and develop a character with whom I am now in the process of developing into my first novel...so, thank you Mr. Flynn and Mr. Mills. Please share some of your background: I originally came to Dubai, UAE from Pakistan and now I study in Arlington, Texas. I am an only child and I am an avid fan of political and action thriller genre in both novels and movies. I am a tactical nut, paying special attention to and appreciating the details of the weaponry and tactics used in a novel or a movie, a skill instilled in me by my Father who served in the Navy. I spend most of my time reading political intrigue/action filled novels like the Mitch Rapp series, which is truly my favorite one. My parents and loved ones support my love for reading, which is more of a passion than a hobby that began with my reading of American Assassin. It was the first novel that rejuvenated my passion for reading and it hasn't declined since then. I am now a proud Mitch Rapp Ambassador, with the sole mission of presenting the legend of Mitch Rapp to the entire world. When did you start reading Mitch Rapp? I started reading Mitch Rapp when I saw an online news page, announcing the casting and synopsis of American Assassin movie adaption. I was fascinated by the plot and I looked up the Mitch Rapp series which immediately hooked me in from the first sight of the American Assassin book cover, which conveyed a sense of political grittiness coupled with high octane action and I was not wrong. I purchased my copy of American Assassin that very day from the bookstore in Dubai and from that moment on, it was one Mitch Rapp novel after another without any breaks or obstacles. Mitch Rapp became my life essentially. American Assassin is a novel I never get tired of reading, as I have read it more than three times. Which book is your favorite/why? My favorite book of all time would be a tie between Consent to Kill by Vince Flynn and Order to Kill by Kyle Mills. Both are Mitch Rapp novels written by two brilliant writers and both have a very special place in my heart, even though every single Mitch Rapp novel has a special place in my favorite list above all others. Consent to Kill was not the most action packed Mitch Rapp novel but it showed my icon in a new vulnerable light and a side of him that the bad guys rightfully fear. I admire that side of Mitch Rapp. The feral nature of Rapp at the end of the novel was the highlight. As for Order to Kill, it was fast paced with Mitch Rapp as a beautiful beast, one that the world needs now more than ever. I can't deny myself the pleasure of Mitch Rapp shooting his way in spectacular fashion with utmost realism. Do you have a favorite character and why? My favorite character is and always will be Mitch Rapp hands down. He is a man with strong moral principles that do not always insist on following the rules if the rules impede the victory of the good guys. I appreciate the darkness within him, brought on by the loss of his loved ones, but furthermore I appreciate his dedication to his missions and pushing ahead despite all the obstacles in his path. He is always willing to put his life on the risk for the greater good, and it doesn't hurt that he is a brilliant gun fighter with all the necessary skills to take down the baddest of his opponents. If you could be any character in Vince's novels, who would it be and why? If I had the opportunity to be any character, I would choose to be Mitch Rapp. I understand it comes with an unbearable amount of personal loss and darkness, but I have always wanted to explore Mitch's life. Not only is he a certifiable fighter which would quench my thirst for adrenaline filled activities, but it would also get me front row seat to a day in the life of Mitch Rapp, someone I admire and relate to more than anyone else. Mitch Rapp is about as real to me as my own family is. Is there anything else you would like to share relating to Mitch Rapp, Vince or Kyle? 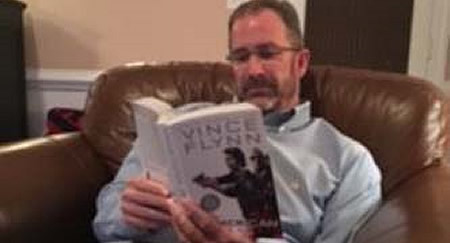 I was very concerned when I read that Kyle Mills had taken over the reins of Vince Flynn after his untimely and upsetting death. Even though The Survivor by Kyle Mills was already out, I was still on Mr. Flynn's novels. But my fear was misplaced as Mr. Mills took the bull by the horns and wrote one of the best Mitch Rapp novels. It did not even feel like Mr. Flynn had left us, his work clearly echoing in Mr Mills' writing with his own panache in it. I owe a great load of gratitude to Mr. Mills for doing a tremendous job and I will always be looking forward to more and more Mitch Rapp. Please share some of your background: I am retired and live in a little town in Utah. I was born and raised in the Marine Corps and my husband spent 21 years in the Marine Corps so I am about as patriotic as you can get. Many times, I wish our country had a Mitch Rapp. We sure could use one in this day and age. When did you start reading Mitch Rapp? My first book was Transfer Of Power. I have read all of the Mitch Rapp books several times. In fact, I am half way through reading them again. Which book is your favorite/why? My first book was Transfer Of Power so that will always be a favorite. Then American Assassin because it starts it with Mitch becoming a part of the Orion Team. I guess those will probably always be my favorite’s because they got Mitch and I started. Do you have a favorite character and why? Mitch, of course. If you could be any character in Vince's novels, who would it be and why? That would be Irene Kennedy. She is a classy lady but one who is not afraid to do what is right and get the job done. Is there anything else you would like to share relating to Mitch Rapp, Vince or Kyle? I miss Vince but thank goodness Kyle came along. I must admit, I was worried when the first book came out but Kyle did a great job of continuing Mitch Rapp. I am so grateful that my favorite spy will be with us, I hope, for many years to come. I'm an Aussie from the city of Melbourne Victoria. I work in retail. I love movies, reading, rock music as well as seeing friends. And also I'm a proud honourary uncle. I started reading back in 2003 when I picked up Transfer Of Power and The Third Option. Since then I've been hooked. That's a tough one. But for me it would be Transfer Of Power as well Consent To Kill. But they're all great. Besides Mitch it would probably be Scott Coleman. He was so awesome in Term Limits. Definitely Mitch Rapp. He's skillful, brave, confident and does what it takes to get the job done. I also admire his fashion sense. I miss Vince. I wish he was still with us. But I'm glad Kyle Mills is continuing the series and doing such a great job. I hope the movie series continues. 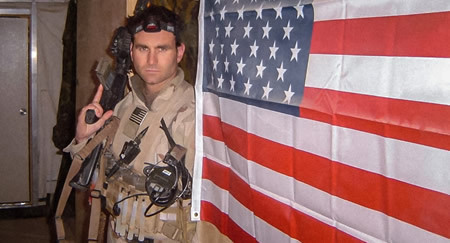 Former Marine and current Respiratory Care Practitioner. Started by finding a random book in a bin at an airport on my way to Afghanistan. The book was Extreme Measures and it sat in my bag for a few weeks until I needed something other than working out and sleep during my down time. I quickly read that book and then had to wait a horrible few weeks until my unit convoyed to a larger base from the small, middle of nowhere place we were at and was able to get some agonizing slow wi-fi and download all the current books in the series at the time. Did some research and read them first in publishing order, then again in chronological order. Oh man. I can’t pick one. I’ll try and do my best and most my top 3, in no particular order. American Assassin, Consent to kill, and Order to Kill. Is this a serious question? Ok Besides Mitch Rapp, I love and miss Stan Hurley. Again, Mitch. The world needs more people like Mitch defending this great country. I did my best as a Marine. But in today’s crazy world, I wish I could have done more. I’ve had an amazing opportunity to meet Kyle, he is such a great guy and look forward to seeing him again if I get the opportunity. 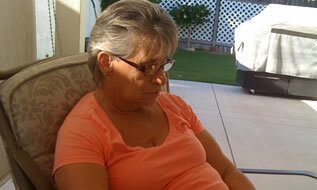 What's Your Story: Barbara K.
I am a wife of 48 years to the best mam I know! We have six children, three girls and three boys, and six grandchildren, three girls and three boys. I read many books and I have a few authors that I love to read and I read their books over and over again. I am not sure exactly when, but I downloaded the first book on iTunes and I could not get enough of Vince's Books! We will miss him very much! How can you pick just one book? I love every one of them! And I will keep reading them over and over. I love Mitch Rapp, and also like Irene Kennedy. A very strong and handsome man who has been through a lot just too keep the people in the world safe from people who are trying to do great harm to good people. I think I would like to be one of Mitch's friend. Someoe he can talk to and know whatever he said will be keept between the two of us. Just that Vince was taken way too soon from his family and readers. What's Your Story: Jen S.
***SPOLIER ALERT*** If you have not read Consent To Kill there are spoilers in this profile. I am a Pre-K Special Education Itinerant teacher. Last year. 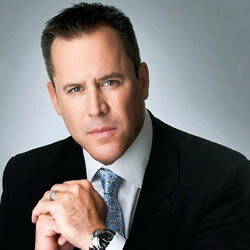 I kept hearing about Vince Flynn from listening to Rush Limbaugh . He said that Mr. Flynn encouraged him to write the "Rush Revere" stories. Mitch Rapp sounded like a really interesting guy, so I had the chance to read one of the books for free (Transfer of Power). I was hooked and had to start from the beginning (because I'm just compulsive that way). It took me three months to read all of the books, but when I finished, I felt a letdown, like I don't want this to end!!! Honestly, I like them all, but if I have a favorite, it's The Survivor. I like The Survivor because there was a glimmer of hope that Mitch would move on from the death of Anna, that he would try not to become the next Stan Hurley. Mitch is my favorite character. He's tough, strong and takes no prisoners. He's brave. At the same time, he's got a tender, sensitive side that he doesn't show the world. I can't think of anyone in particular (probably because I don't like or know too many actors today who could do this part well, though we'll see who they cast in "American Assassin.) I see someone very tall, very dark, tough, strong and intelligent. Irene Kennedy. She's intelligent, attractive and poised. I have a feeling the average person never knows what she's thinking. She plays "close to the vest." Just that I enjoy them and can't wait for the next one.